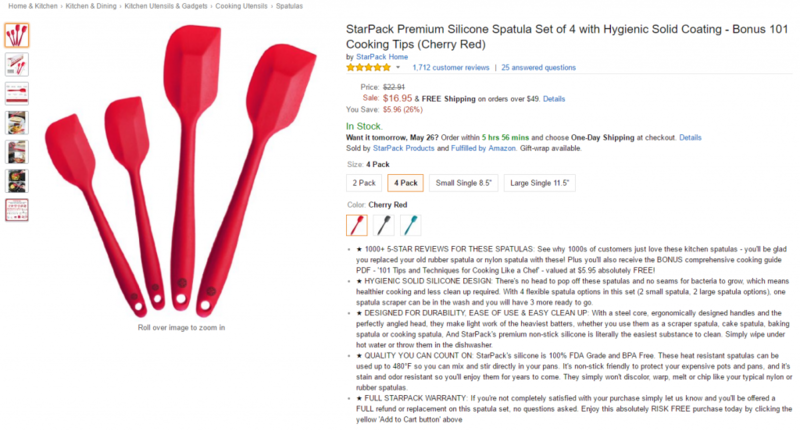 Bullets are one of the most important elements of a product page. Their abbreviated format allows multiple benefits to be presented to the customer quickly, while their prominent page placement ensures that the information is easily seen. In many categories, Amazon bullets are located “above the fold,” meaning anyone who clicks on a page can see them without having to scroll. This prime real estate offers a golden opportunity to succinctly and effectively convey your product’s key features and benefits to anyone who visits the page. Clear and concise bullet points are an important element in creating strategic product pages that give customers the confidence to make informed purchases. When utilized properly, bullets help raise a product’s discoverability, which can improve the page’s relevance within Amazon’s search algorithm and in turn improve its search position. Though many sellers on Amazon stuff the bullet section full of information, this is not the most effective way for it to be used. A customer should be introduced to a product gradually. The first thing they see is the title, which should inform them exactly what the product is by offering only the information that distinguishes that product from other nearly identical products. Next, it’s the job of the Amazon bullet section to offer succinct features and benefits of the product, without overloading the customer with too much information right off the bat. The key here is scannability. You want the customer to be able to ascertain the most important information about the product quickly and easily. Trying to milk every character Amazon allows throws scannability out the window. Depending on the complexity of the product, you only need 3-5 bullets to get the important information across here. 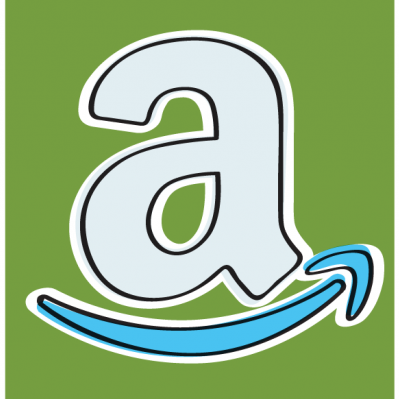 Though many Amazon categories allow up to 256 characters, we recommend each bullet max out around 80. In addition to keeping the bullets scannable, this practice is also better for mobile users so they won’t have to click the “see more” link to get the product’s basic information. Bullet 2: Materials and construction. Is assembly required? Amazon bullets should be in sentence case, with only minimal punctuation, if any at all. Though the text should be minimal, bullets should be keyword-optimized to help bolster the relevance of your page for search. The bullet section is not the place to fully describe everything a product does – save that for your product description paragraph, or better yet, for enhanced content. This company has decided to use their bullet section to give every possible piece of information about their product in full paragraphs, complete with ALL CAPS HEADERS so you can feel like someone is yelling at you while you shop for spatulas. All scannability is lost here, and though they have crammed an impressive amount of information into what was supposed to be concise blurbs, it comes across as an oddly-formatted, unwieldy block of text. This bullet section offers up about as much information as a sullen teen at the dinner table when asked about their day. So, how was school today? “Drink mix.” Did you learn anything interesting? 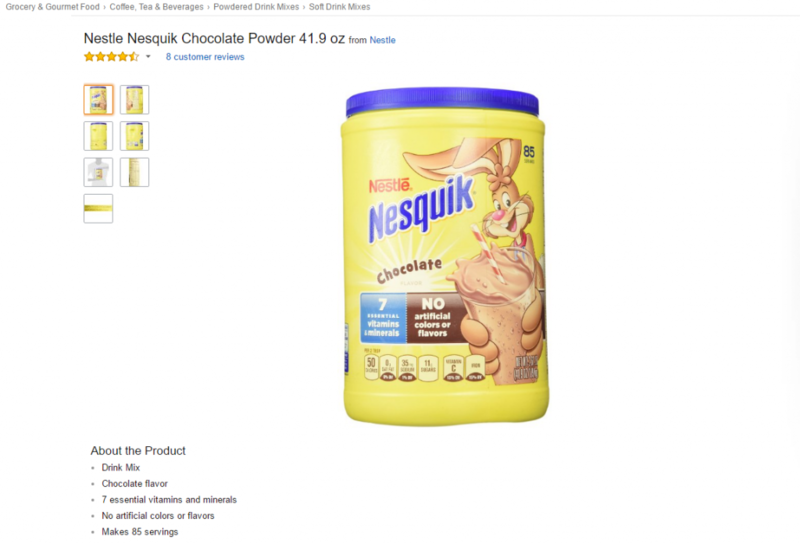 “Chocolate flavor.” No one is asking Nesquik for prose here, but this “conversation” feels entirely one-sided. A little more effort in describing what their product is and does would go a long way towards making the customer feel like this chocolate powder is something they actively want to put in their body. This bullet section is just right. 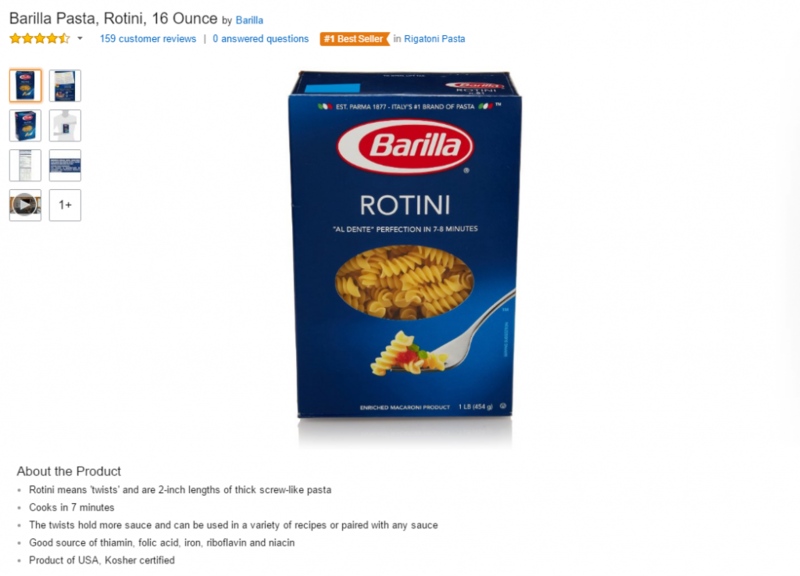 It lets you know what kind of pasta it is, how big the noodles are, where the pasta is from, and its unique benefits of twisty sauce pockets and riboflavin. These bullets give the customer plenty of pertinent information about the product while remaining scannable. Bullets are key to both improving discoverability and delivering a good shopping experience. Don’t squander this key product page real estate by including too much – or not enough – information.